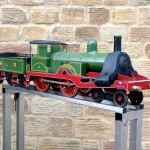 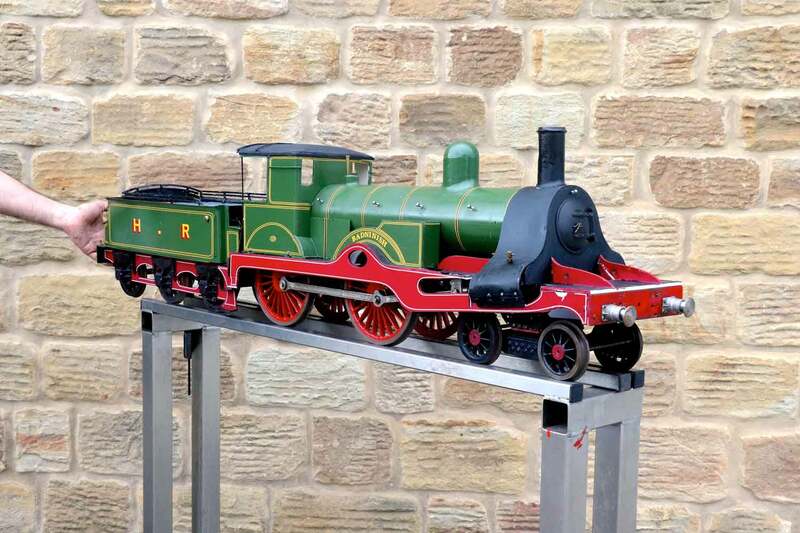 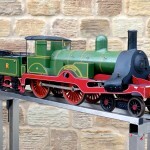 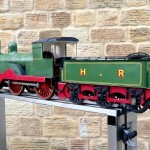 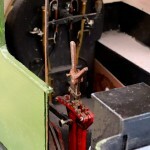 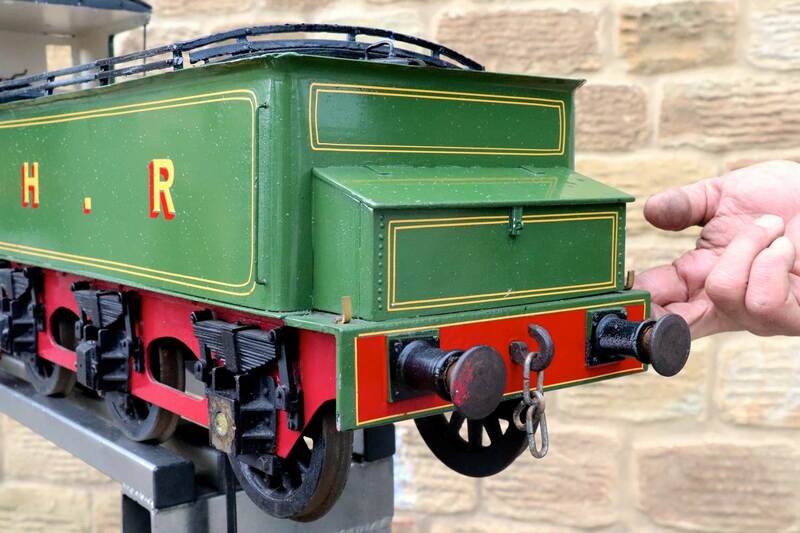 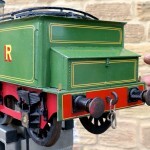 Here we have a 5″ gauge Highland Railway ‘Skye Bogie’. 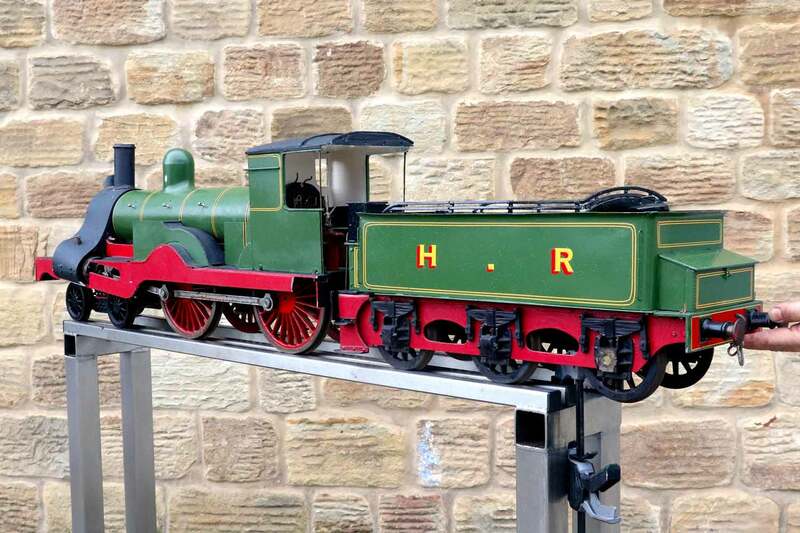 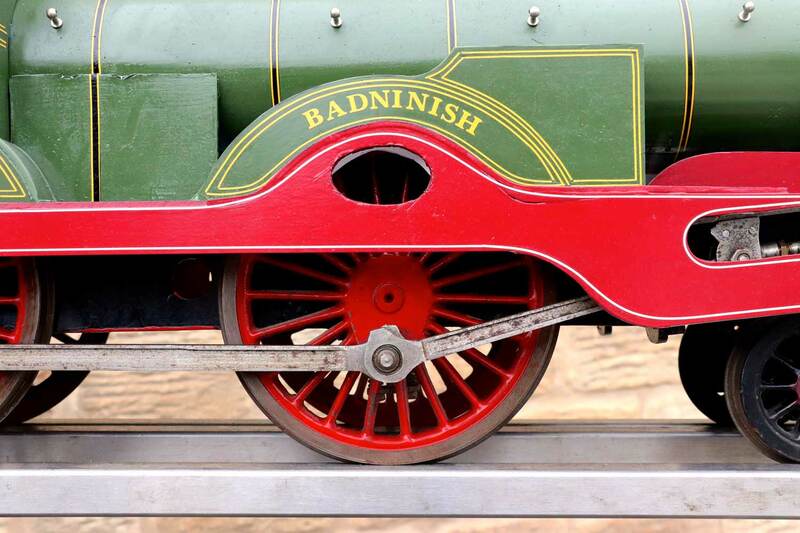 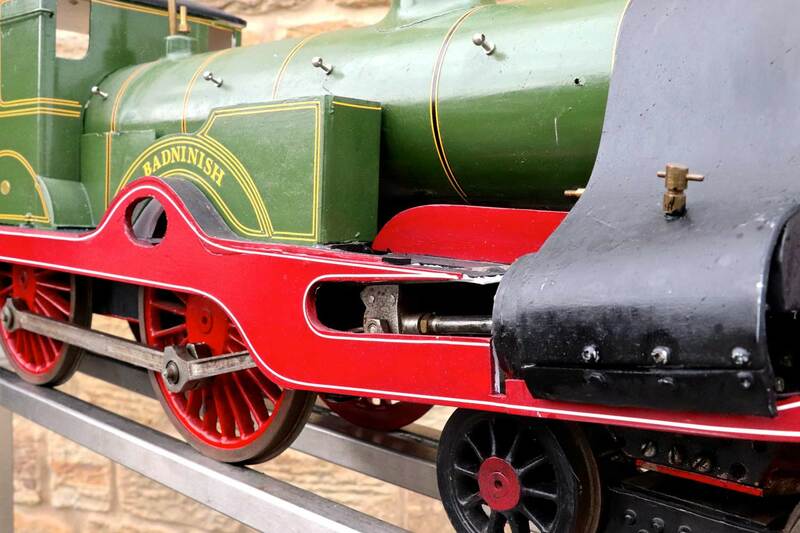 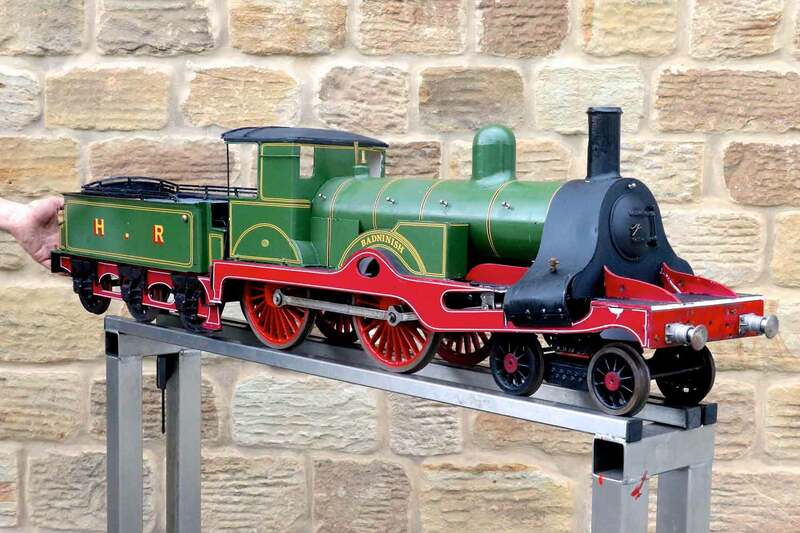 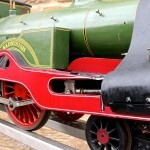 Built upon the loco and tender chassis for an outside cylinder ‘Maid of Kent’, this is a wooden and tinwork battery electric loco that has never quite made it past the finish line. 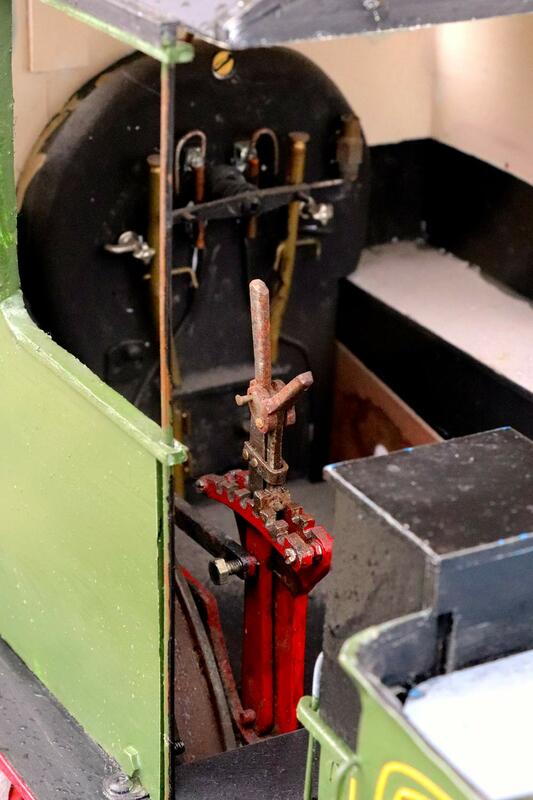 The bottom end is straight Maid of Kent, the frames, wheels, cylinders, rods etc are all steel and cast iron, and nicely built. 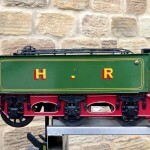 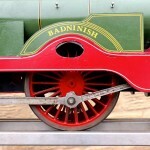 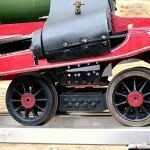 The tender is quite nicely done and more or less a ‘proper’ tender,…. 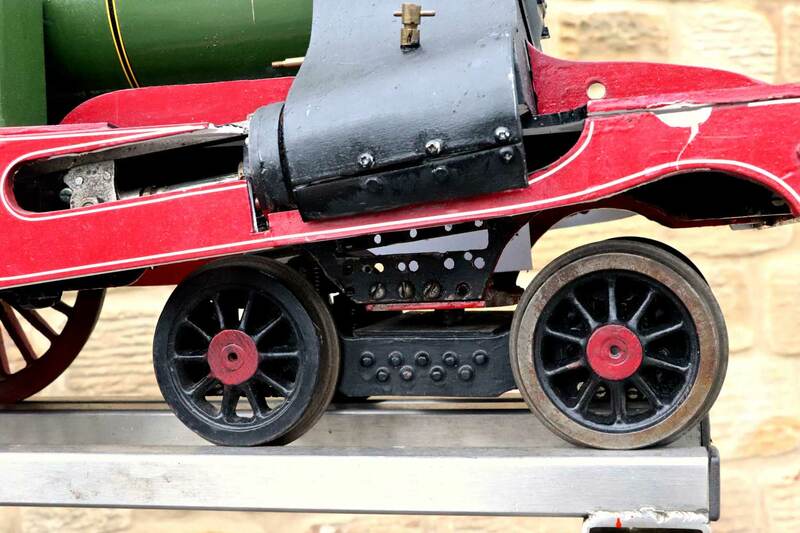 but the engine body is a lot less substantial. 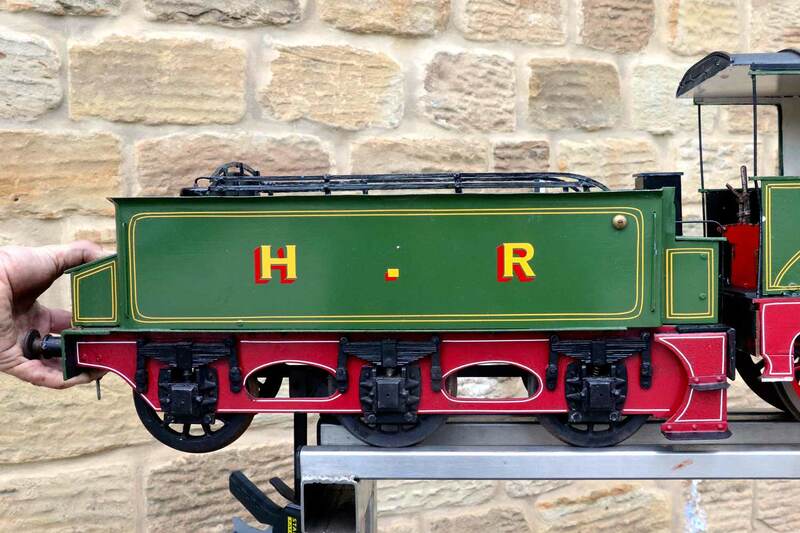 With a bit of work though it could be a really nice looking and interesting battery electric loco, or indeed display model.